I swear I am not a spendaholic. I don’t even have any credit card debt. But I do have a lot of gift cards, reward cards, business cards, sky miles cards, etc. Necessity is the mother of invention, right? When my cousin saw that I had 3 different systems in my wallet to hold all these bad boys she decided to take on the task of helping me put them all in one place. 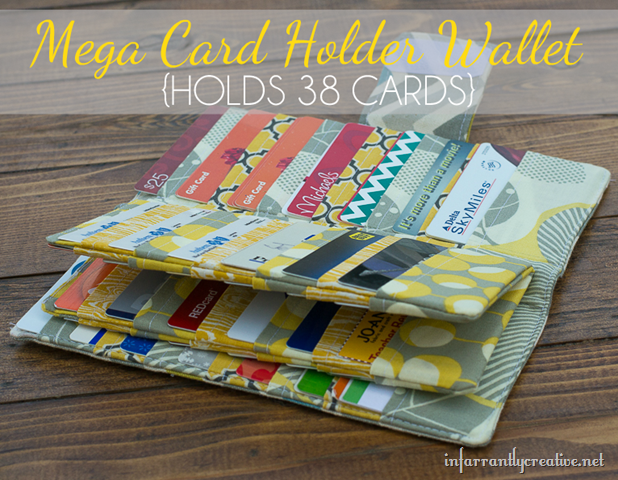 The Mega Card Holder Wallet was born – all 38 pockets of it.